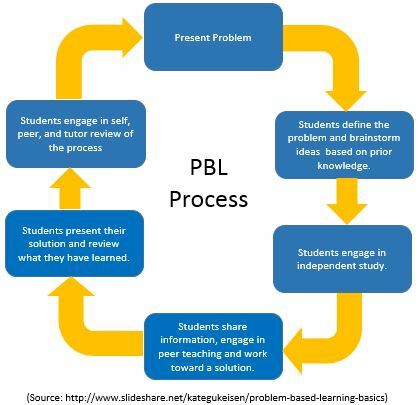 Problem based learning (PBL) is a teaching strategy during which students are trying solve a problem or a set problems unfamiliar to them. PBL is underpinned by a constructivist approach, as such it promotes active learning. Activities are carried out with groups of students, typically in a tutorial or seminar setting. PBL fosters self-directed learning, effective problem solving, communication and collaboration skills. Students tend to work in groups to problem solve with the lecturer or tutor taking a backstage role during the activity, their involvement is usually limited to guiding and monitoring the process.